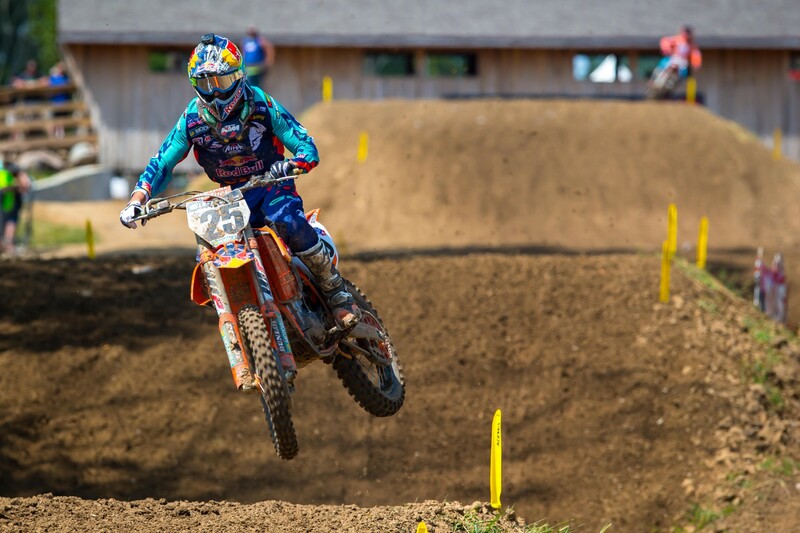 The unexpected twist came in the form of Jeffrey Herlings, the fast Dutchman from the MXGP World Motocross Championship that showed up for his first-ever round of Lucas Oil Pro Motocross and straight-up slayed everyone—he was fastest by a long way in both practices and then went 1-1 in the motos. He even came from just about last to first in the second moto. It was crazy! Herlings said the goal was to not mess up the championship for anyone, but he ended up playing a factor when he took the lead from Tomac in the first moto … and Tomac tried to come back after him! That was a bad move, because Tomac went down and suddenly the championship flashed right before his eyes. Tomac got up in fifth and needed fourth in moto one to wrap up the title. He knew fourth-place Cole Seely held the spot, but with his bent clutch lever he couldn’t find the form to get close to him. He ended up one-point short of wrapping up the title, sending the championship down to the final moto. He got a bad start there but held on for sixth, enough to finally ice the championship. Herlings was the fastest man of the day, but Marvin Musquin and Blake Baggett, who still had shots at the championship, gave it everything they could to get it done. Once Tomac crashed in moto one Marvin made a run at Herlings and caught him at the halfway mark, then Herlings pulled back away for the win. Baggett took third. Marvin wrestled the lead away from Baggett at the start of moto two while Herlings was down early in about last. Herlings came all the way back through to take second, but Musquin had a ten-second lead on him with two laps to go until he crashed all by himself on a jump and handed the lead over. Remarkably, Herlings had gone 1-1 despite a first-lap crash in the second moto! Musquin went second overall with 2-2 scores, he had the overall in the bag until his last second-moto crash—Herlings was closing but would have run out of time. Marvin has shown a new propensity this year to hang it out on his 450, and that was on display more than ever today—especially when he got up late in moto two and Herlings was just ahead of him. Musquin absolutely sent it on the final two laps, but couldn’t get back into striking distance. Cole Seely continued his strong riding to end the season with 4-4 scores and fourth overall, Cooper Webb was fifth, Tomac was sixth. In the 250s, the title had already been sewn up by Zach Osborne, but that only helped him ride better and pressure-free. He dominated with 1-1 scores, getting the better of Adam Cianciarulo in both races. Cianciarulo followed his overall win last weekend by getting two good starts today and leading both races early, but Osborne got around him and took off in both races. Jeremy Martin was also in the hunt, but Cianciarulo accidentally crashed into him in moto one and knocked him down. He finished eighth, and came back to outduel Colt Nichols for third in moto two. Nichols, though, scored his first career podium with 3-4 scores. Hard luck of the race had to be Chase Sexton, who had been saying all year that he just wanted to get a good start and see what he could do. He finally got one in the first moto and battled hard with fellow rookie Sean Cantrell for fourth, then took third when Martin went down. He held up under pressure from Nichols until two laps to go, moto podium in sight, when he crashed into a lapped rider. Nichols slipped by, then Sexton crashed again a few turns later. He finished the moto in tenth. In the second moto, his teammate RJ Hampshire was putting the pressure on and Sexton bobbled, then they bounced into each other and Sexton went off the track. He ended the moto in sixth. Martin's 8-3 gave him fourth, and Mitchell Harrison took a solid fifth overall. While yesterday’s performance from Jeffrey Herlings was one of those moments in a career that you might get just once, similar to his lapping everyone in the sand, this was a performance for the ages. While it was in the AMA Nationals, it’s easy to compare to the performance by Antonio Cairoli in Trento this year, but probably even more impressive than that legendary ride. Herlings has long been known as special, along with Ken Roczen they have been called the future for a decade now, and after his ride in Indiana yesterday, the future now looks like the present. Herlings current form in the MXGP series makes him the quickest at the moment, and only his pre-season injury robbed him of battling long and hard with Antonio Cairoli. Cairoli is a deserved world champion in 2017, and after his two years of injury, he is entitled to a little luck on his side. Herlings though might have made that jump to the next level, the level he expected before his injury, and what many of us have expected. 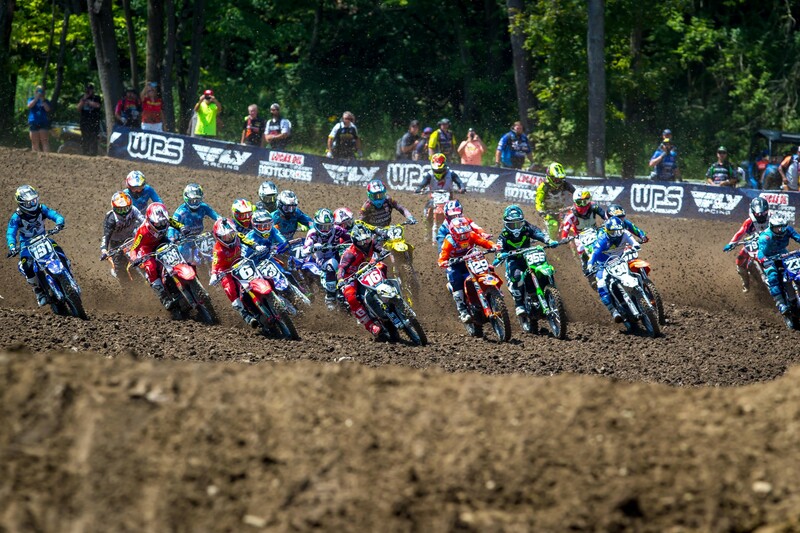 The way he put the best American 450 riders to the sword yesterday was as impressive a ride as I have seen. 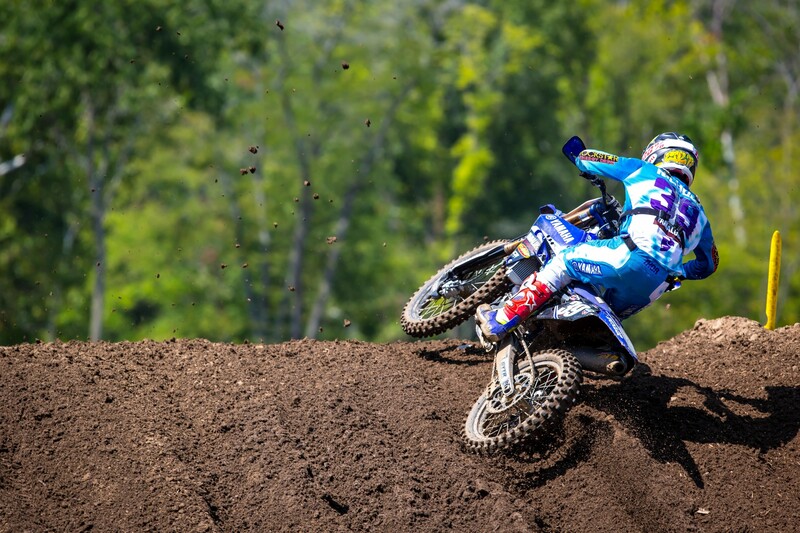 No rider before him has been able to enter an AMA National, mid-season and perform like that. Sure, Eli Tomac was struggling with nerves and sure Marvin Musquin crashed out while leading, but Herlings was a class above both guys, in every element. His looked sharper, faster and smoother, and his mental edge was evident. What now, what of this coming weekend in Florida, the site of the USGP? 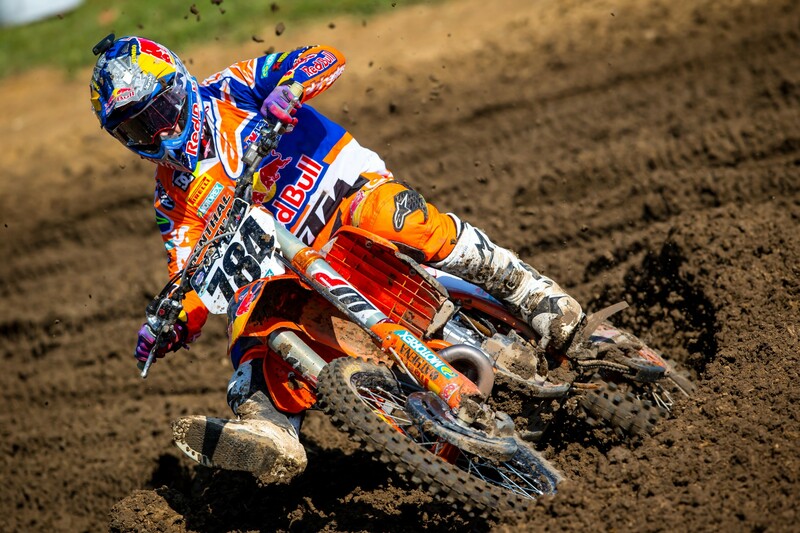 Can Herlings do this again? Of course, he can, but it will be more difficult. Tomac with a championship in his pocket, can ride without the mental drain of yesterday. The WW ranch track looks more wide open than Ironman, although hopefully Youthstream will have slowed it down, to give better racing. I still think Tomac has to go into the USGP as the favourite, but I hope the Euros can deal with the heat and also fight for moto wins and the overall. If Herlings gives him another beating, then it would be clear the best riders in the world now reside in the FIM Motocross world championship, and it might be clearer than it’s been for 30 years. As we saw yesterday, the circuit was well prepared, but good racing we didn’t see. Herlings put on a show for the fans, but those well prepared American tracks don’t give the same sort of action as the MXGP circuit. Sure, they look great and I am sure they are fun to ride, but the technical aspects that the MXGP riders face, slow the racing down and compact the field. Even so, didn’t the American public give massive respect to the three-times world motocross champion. Massive applause to MXsports for giving Herlings the respect he deserves, just as they do whenever a GP rider turns up. 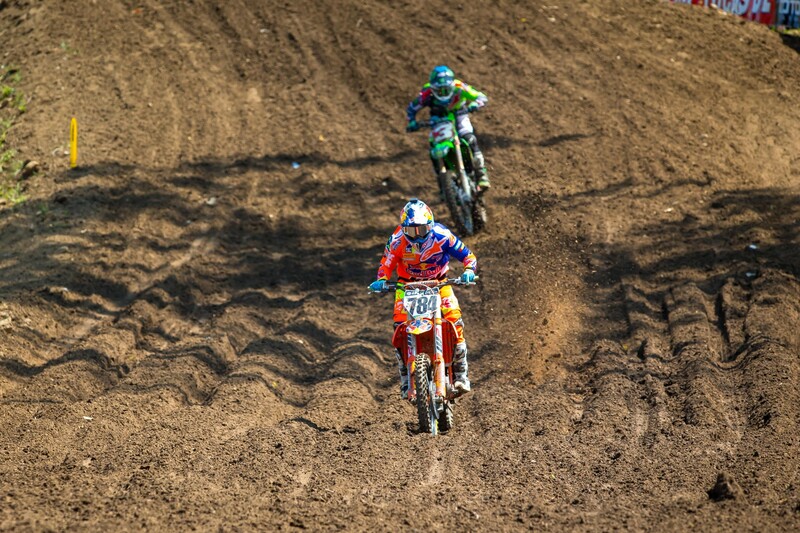 What does concern me though is the way Herlings cut through the 450 field. To say it was easy would be an understatement and while we knew this 450 class lacked names and depth, Herlings exposed it badly. 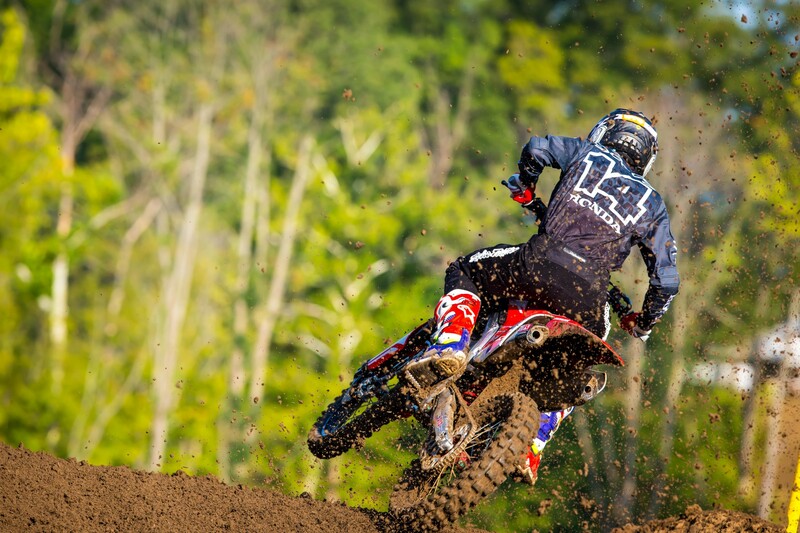 I am now wondering how Cole Seely will deal with the MXoN competition. I hope he does awesome, and Team USA can compete with the top teams. We had another record weekend here at mxlarge, and with massive support from Davey Coombs and the RacerX crew, not to mention Dan Lamb from motoxaddicts who has a special Herlings interview for us today or tomorrow. What I can say, this victory by Herlings will have brought a bunch of new fans to the MXGP series, and just like when Ryan Villopoto joined the MXGP series, it only gives more credit to the hard work of the riders, the teams and the promoters in the series. We hope you enjoyed the coverage we gave and we look forward giving you a similar coverage from the USGP next weekend.